March NEWFO Party! Rock on! Barbara at Catpatches always throws the best parties! 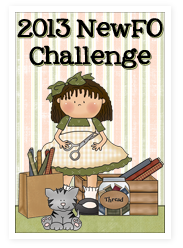 Today I'm linking up with the March NEWFO party . . . 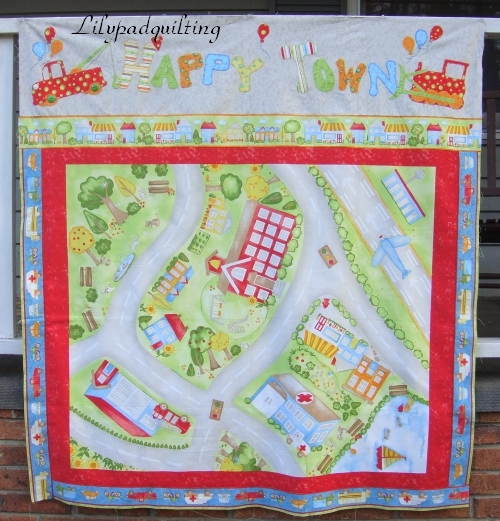 I started my Happy Town project in March, and I'm hoping to finish it soon enough to send it to the Henry Glass and Jacquelynne Steves effort for Quilts for Kids! 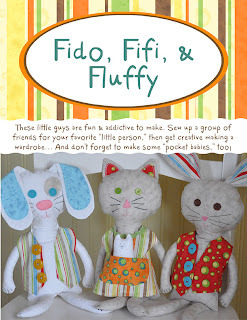 Hop on over to Catpatches and see all of the other fun projects entered in the March party! And say hello to Smitty and Gracie, too! The Quilt Kit Market is re-opening! 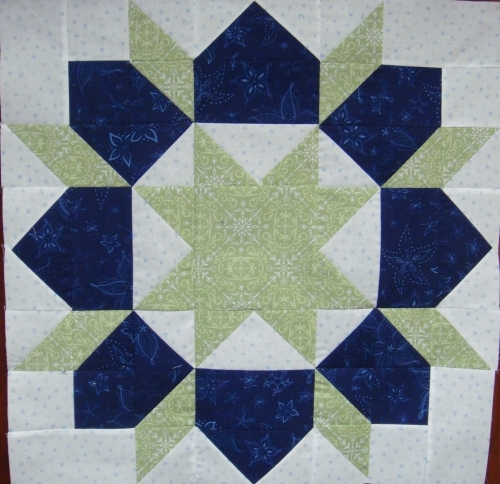 The Quilt Kit Market is re-opening!! I am so happy to announce that Quilt Kit Market is re-opening. After a trip to Quilt Market in Houston last fall and much thought and prayer, I have decided to re-open the business without my partner. There has been some restructuring to the website and I have lots of new ideas that I can't wait to share with you. I have spent the last few months restocking inventory and we have lots of new kits as well as precuts and fabrics by the yard. 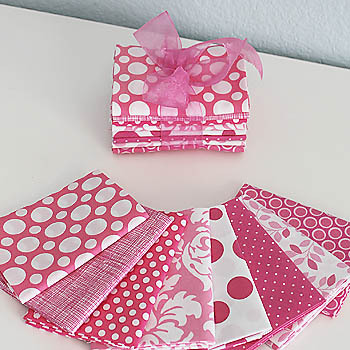 And for all of us that love our charm packs and jelly rolls and layer cakes, she has those in stock, too! I am extending a special Grand Re-opening discount to all of my newsletter subscribers. You will get 10% off of your entire purchase if you use the code GRAND2013 when you check out. Yeah, I know, I'm showing my age . 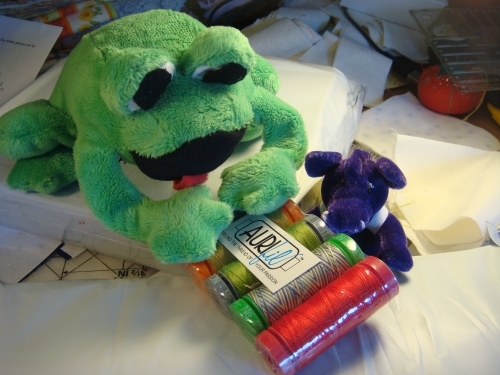 . . after I wrote the title, Padsworth got out the rotary cutter and pretended it was a bass, and DragonDrop was working the drums (spools of thread). Well, enough channeling of Queen, let's show you our third Swoon block!! 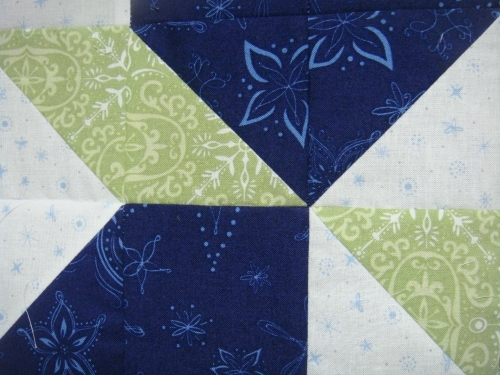 I think the two fat quarters I used for this block are my favorites so far! (Grin) But then, I always say that! Another one down, and six more to go! 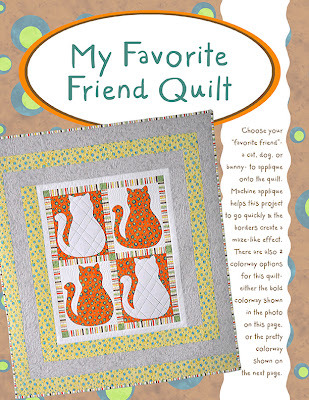 This block is also brought to you by the Bestie QAL! 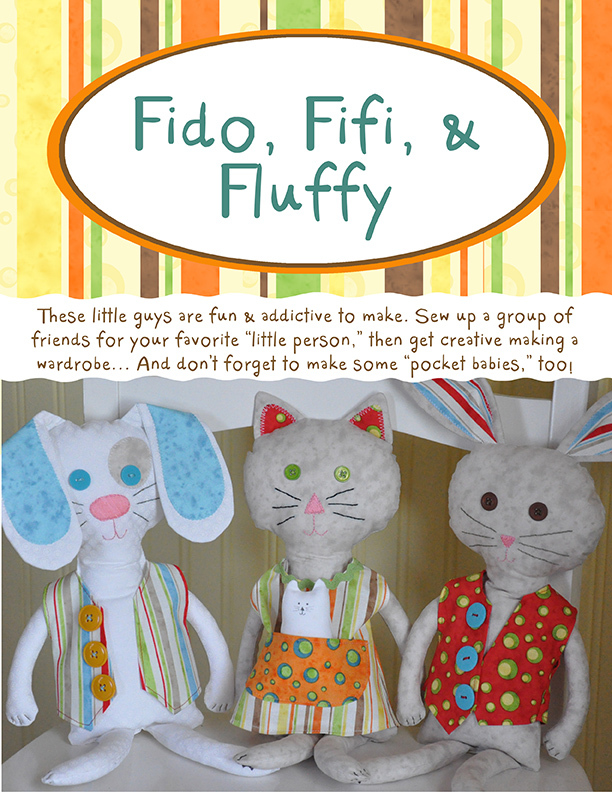 I'm linking up today with Katherine's Corner, and with An Artful Mom, for the Thursday Favorite Things linky party! I'm also linking up with Sincerely Paula, at the No Rules Weekend Linky Party! Come and check out the fun! Please disregard this post; it seems that this is necessary in order to "claim" my blog for Bloglovin? Oh, well, I will jump through the hoops.....new post coming in a few hours, peeps! Who is the winner of "Child's Play," the wonderful new book by Jacquelynne Steves? Let's ask Mr. Random . . .
And she had a yummy idea for her waffles, too! Congratulations! We'll be sending your information to Jacquelynne, and we hope to see what you create with all those project ideas! 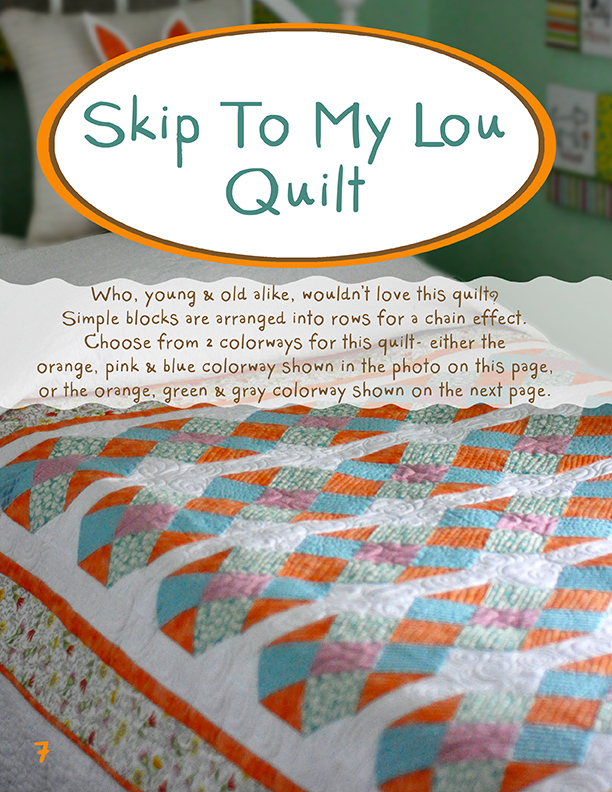 Stop back in soon -- almost have another Swoon block ready to show you! Looking for our wonderful book giveaway? 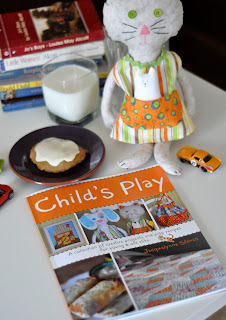 Click here and enter to win Child's Play, by Jacquelynne Steves! I'm just a hopelessly-romantic-and-warm-and-hot-weather-loving person . . .
And I'm stuck in the last bits of cold weather . . . at least, I hope it's the last bits!! 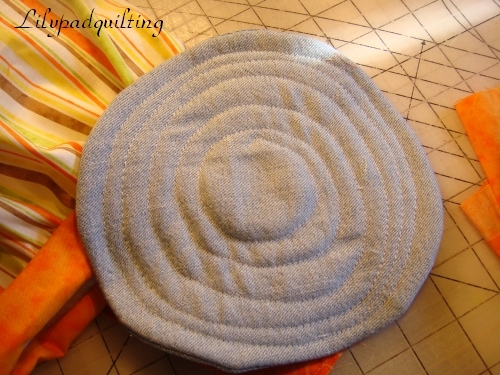 I found some relief at one of our Lilypadquilting sponsors --- Fort Worth Fabric Studios!! 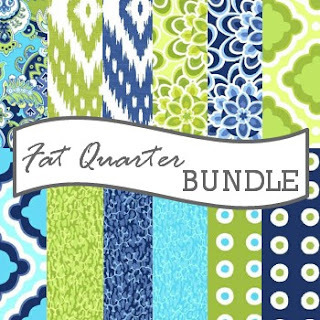 Take a peek at this week's Friday bundle of fabric yumminess! It's called "Tickled Pink"! Now that's what I'm talkin' about! Woot! 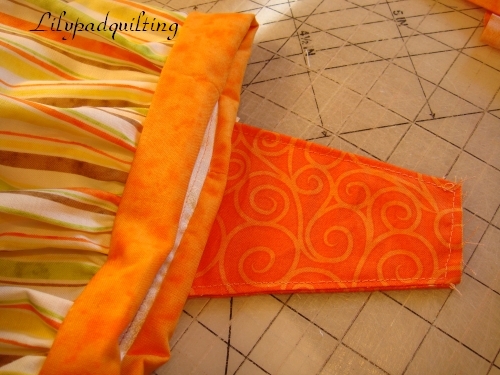 Jodi has lots of other options for us starved-for-spring quilters! Take a look at these, too! Click here to check out the "Fresh" bundle at the store. 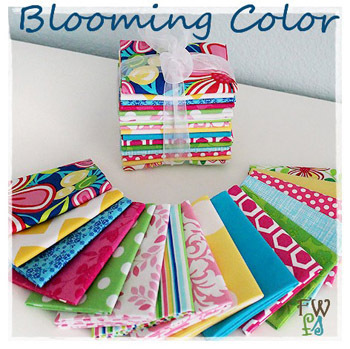 Click here to see the "Blooming Color" bundle! She has some fabulous sales going on -- click here to hop over to her store and see what you want the Easter Bunny to put in your basket! 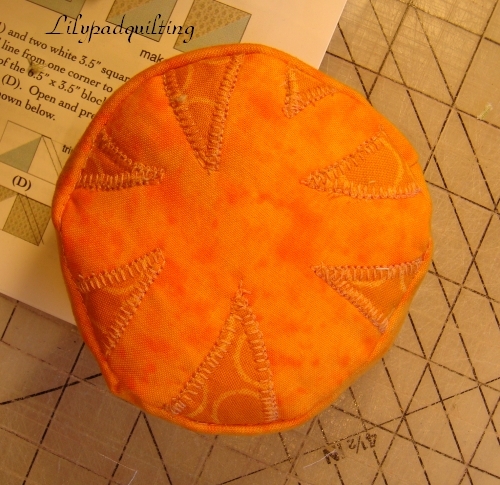 This giveaway is closed now, but thank you for your interest...stay a while and look around here at the Lilypad, won't you? I'm ever so excited that I've been asked to tell you about a wonderful new book -- it's available as a digital book, or as a "realio-trulio-print-book" --- whichever you prefer! Are you ready? Let's see some of the fun things inside! Yumm! I'm getting hungry! 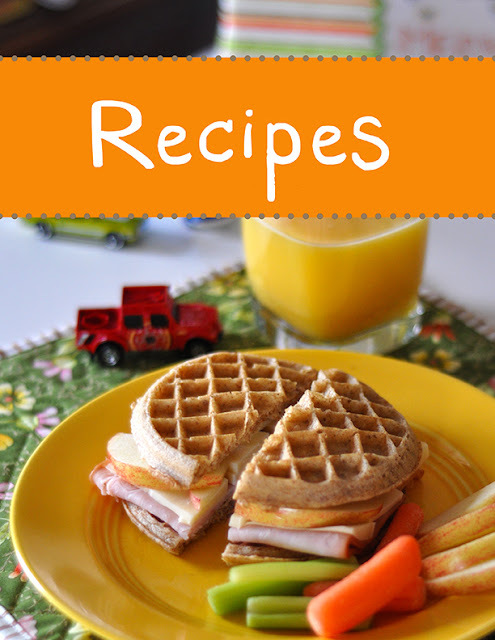 I love waffles --- what a great idea for a sandwich! 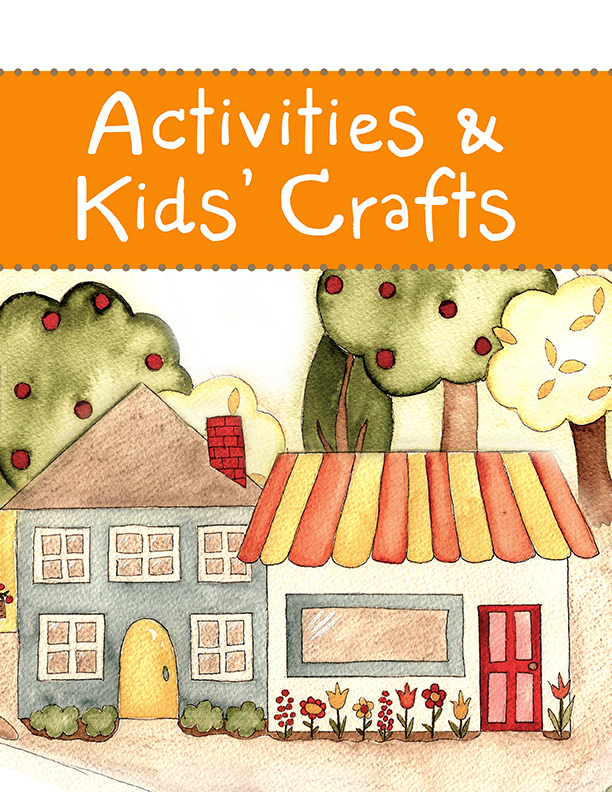 Fun for kids and adults, too! 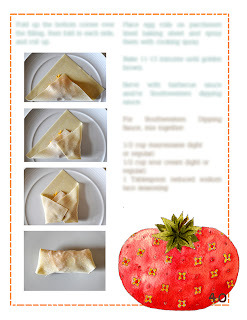 There are great photos with the instructions, so that kiddos can help with the meal prep! 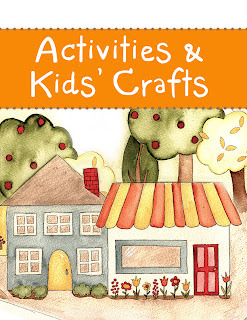 There's a section full of crafts and activities . . .
What I think is so very cool, is the ability to view the tutorial videos! Yep, you just click on the link if you are reading the digital version, and you are whisked away to a tutorial on YouTube! For the print version, you can just enter the linkie into the URL bar of your browser, and you're off to the races, er, videos. The digital version of the book is only $12, and if you prefer to hold a real book in your hand, that is only $15.00. International readers might prefer the digital book -- no shipping costs! 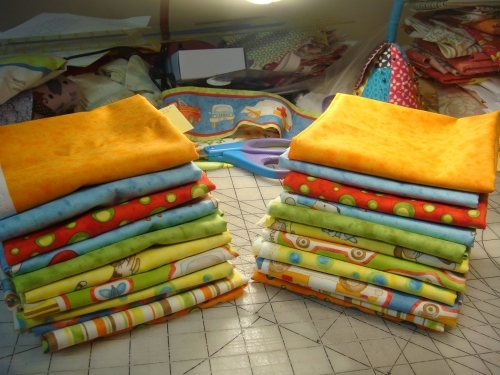 There are so many great projects in Child's Play, and the colors are so bright and cheery -- the projects are designed and completed in the Happy Town fabrics that we have featured before here at the Lilypad. 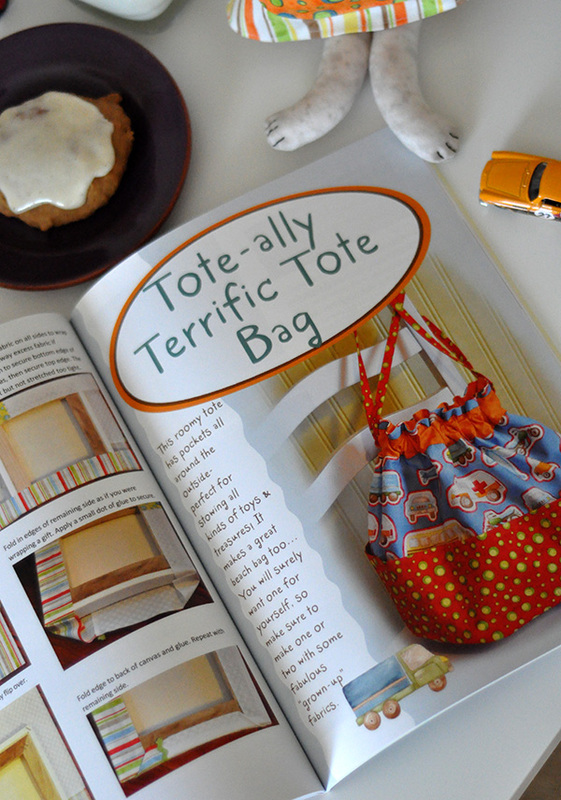 This is such a fun book for spring --- so let's give one away! Just one comment is needed . . . remember that yummy picture of the waffle sandwich up there? Well, tell me how you would construct your waffle sandwich; what meat or cheese or veggies would you use? 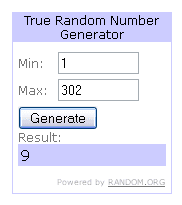 We'll leave this open until Tuesday, and announce the winner after that! 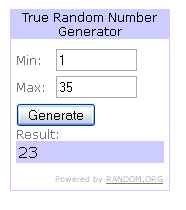 The winner will receive a digital copy of the book from our dear friend Jacquelynne! Sorry about the silence for the last few days here at the Lilypad . 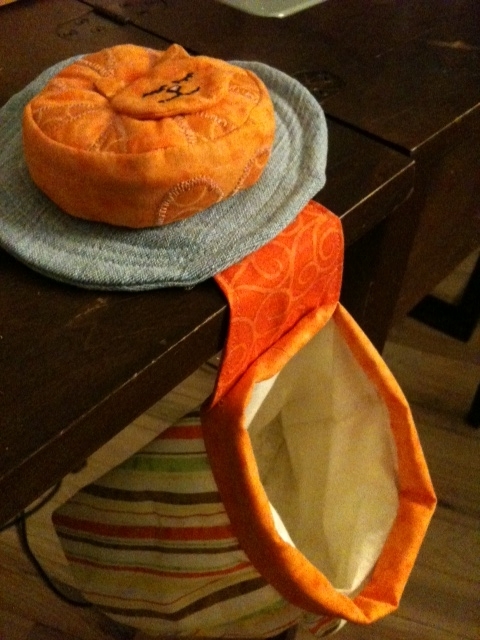 . . some things popped up that needed to be taken care of, so bloggin' had to wait! I'm back to my machine on my lunch hours now, so I wanted to show you what I'd cooked up! Well, I'm going to show you some of the component parts, anyway. Dummie here (that's Snoodles) was so excited when the project was finished, that she wrapped it up in the Happy Birthday paper and didn't take a picture of it! Duh. 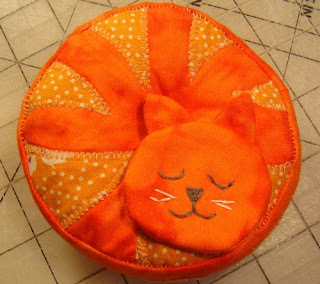 Remember when I showed you the ginger cat pincushion that went to live with our good friend, Sasha, and her three terrifically handsome orange kitties? You can click here to see it if you would like to. 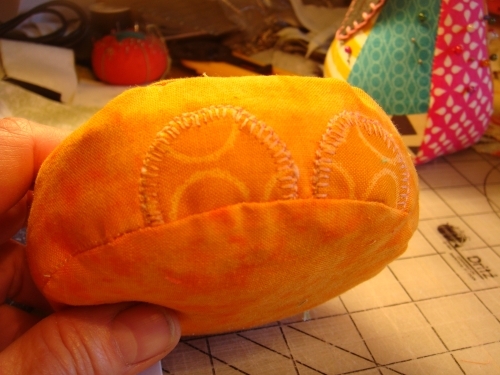 That pincushion is made from template in the "It's Quilting Cats and Dogs" book by Lynnette Anderson. I love that book! There are super projects in it. 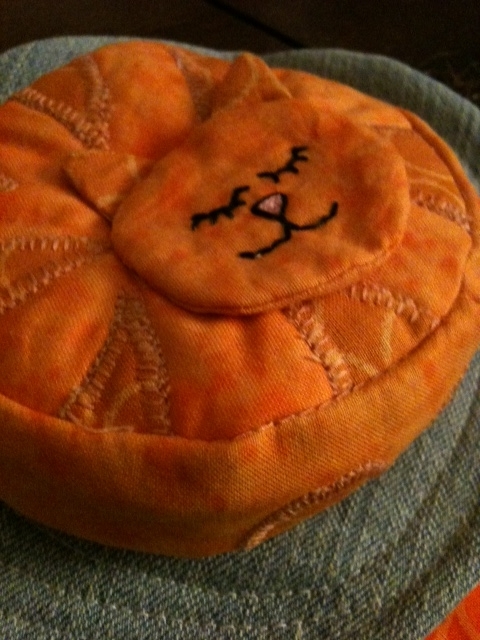 I'm hoping that the recipient will send me a photo of the finished kitty and threadcatcher, so that I can show you! UPDATE: Here are two pictures of the happy kitty in his new home! Happy birthday, sweetheart! Mom and Dad love you with all our hearts! By the way, did you know that if you hit enter after you write just the post title, it goes live? And there's nothing else there....just the title! Whew! Don't ask me how I know, just nod wisely and smile at my silly after-virus antics . . . Seriously, though, I need to take just a moment and let all of you sweethearts who wished me well, know just how much I appreciate those positive words and cyber-hugs. Wow! You guys and gals are the best! I was sleeping a lot and I'd wake up and click and see another kind message, and drowse back off to sleep. Great medicine to make me get better! Thank you, thank you!! Now, Padsworth and DragonDrop had been watching some basketball on ESPN whilst I was sleeping, and they began a slam dunk contest, filling the packages....they put in some extra goodies, too! 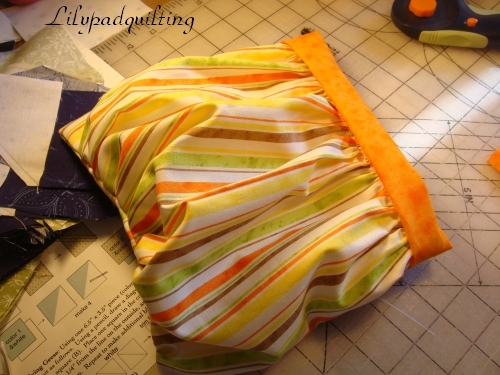 Some notions from our sponsor Colonial Needle found their way into the boxes, and a couple of patterns, too --- DragonDrop even perfected his parachute landing to drop some Aurifil thread into each one! I bet you ladies will be happy dancing for sure, when you open these! 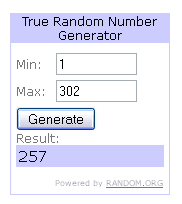 Many thanks to all of you who entered our giveaway, and to Jacquelynne Steves, who made it possible. Be sure to check out the contest and enter to win that wonderful $500 prize! Fat quarter bundles of Happy Town to give away!